Nothing tops a sundae like a sweet cherry, and nothing will top your holiday like this Cherry. 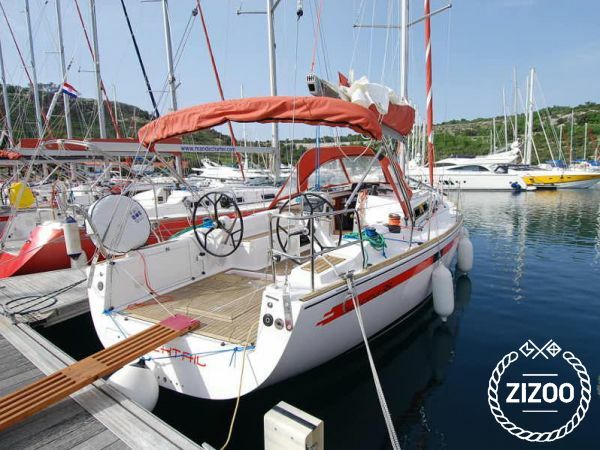 A 2013 Salona 38, this delightful sailboat based in Primosten, sleeps up to 10 people. So get your friends together, higher a skipper and let them take you on a tour of Croatia's most beautiful islands. Discover gorgeous and picturesque towns, breathtaking natural beauty, delicious, traditional and authentic cuisine and a vibrant nightlife that is boasted about around the world. But that's not all - if you're looking for a truly carefree vacation, consider splurging on some of the extras that this awesome charter offers. For an additional fee you can hire a chef and a hostess to take care of all your boating needs while the only thing you spend time worrying about is not getting burnt under the Dalmatian sun. For more information, feel free to contact the friendly charter crew.